The musical group Anthem One with special guest David Dunn will perform at the home of the Southern Illinois Miners, Rent One Park, at 7 p.m. Saturday, June 3, the Miners' website reported. Morthland College added two football players with nearly 2,000 receiving yards between them in their senior high school year, according to the school's sports Twitter feed. Four members of last year's Southern Illinois Miners have announced their retirements, the team announced on its website recently. The Southern Illinois Miners have hired St. Louis native Garrett Bauer as their pitching coach, the team's website reported recently. The baseball and softball fields at John A. Logan College will soon benefit from a $437,000 grant from the Harrison Bruce Foundation of Herrin, the school announced recently. 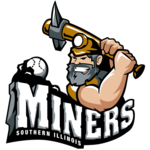 The Southern Illinois Miners picked two infielders in the 2017 Frontier League Draft on April 25 in Sauget, the team announced recently. David Sloan, a guard from Louisville, Kentucky, has signed on to join the John A. Logan College men's basketball program, the school's website reported. Keith Jones made history in his first season at Murphysboro High School (MHS). Taylor Orsburn came back to Illinois​​​​​ with a bang this season. Cameron Touchette could probably count off 90 feet in his sleep. The early season has not been kind to the New Athens High School softball team. Playing for a team nicknamed the Blazers seems particularly appropriate for Jalen Perry, the John A. Logan College (JALC) guard who’s been on fire lately. Steve Rhoads has found an interesting way to spend retirement: heading up a college-football program. Steve Rhoads has spent several decades on a football field, but this season will be his first as a head coach. Steve Rhoads has taken over as interim head coach of Morthland College's football team as the college searches for a replacement for Mike Popovich, who resigned on January 31, the West Franklin school says on its website.